Stamford Bridge side tracking Stuttgart and Everton defenders. Chelsea boss Jose Mourinho is looking to bring in youthful options to offer his side defensive options long into the future with the Daily Mail citing two targets the Stamford Bridge side are keen on acquiring. With John Terry clearly in the latter stages of his career and Serbian Branislav Ivanovic now into the final year of his current contract the West London side have set their sights on two promising talents. Mourinho is keen on Stuttgart centre-back Antonio Rudiger with the 22 year old having a manageable £13m price-tag, which could prove a bargain given the potential displayed by the German international. Chelsea also continue to hold an interest in Everton youngster John Stones though his £30m valuation is proving something of an obstacle at this juncture. 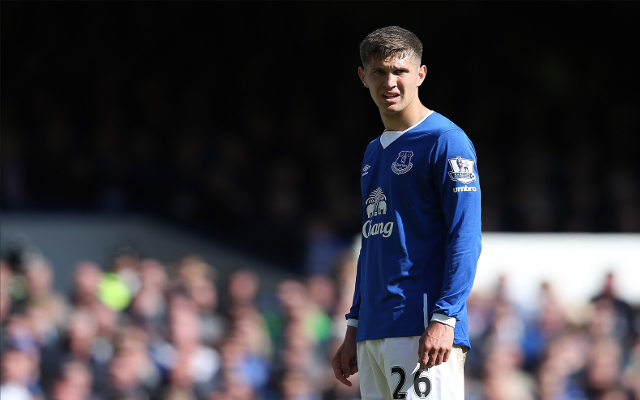 Stones has adapted well to life in the Premier League since his move from Barnsley to Goodison Park in January 2013 but as well as he has performed it’s fair to say that the 21 year old’s price-tag is a little steep to say the least.